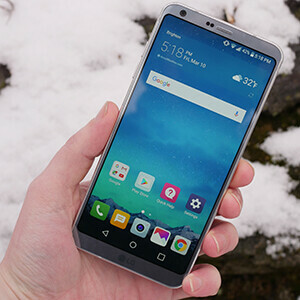 LG was among the pioneering companies to bring bezel-less devices to the mass market with its G6 flagship a few months ago. Along with the Galaxy S8 and S8+, the G6 ushered in an era of efficient, aesthetic design that is here to stay. In its latest infographic, the South Korea-based tech giant wants to give us some insights on "why bezel-less matters", comprising surveys among customers and projected trends that are likely to shape up the future of mobile technology. For example, according to data from IDC, shipments of phones with 5.5" - 6" displays will surpass those of 5" - 5.5" devices sometime in mid-2018 which will likely introduce the need for an even wider adoption of efficient bezel-less designs. This, and more, is all part of the infographic down below. This is a trend that's here to stay. Next up: foldable phones perhaps? Don't mind even a bit in using the bezel less displays. But 18:9 is stupid when the width is sooooo narrow on pocket devices. It definitely makes sense on theatres and Big TVs but not on mobiles. I have been shouting out since rumour mill started outing details of G6/S8. If not original note like aspect ratio, There should be parallel line of products which still are in16:9. I hope that Sammy tries to differentiate the S and Note series of devices that way at least. So the ask is that -> launch Note devices with over 1000 nits and HDR 10 support in two versions -> Note 8(16:9) and Note 8 Wide(for a lack of better word, with Note 1 aspect ratio). There will then be competition and customer is going to benefit eventually. I definitely agree. I have the G6, and I'm not the biggest fan of these new tall aspect ratios as well. I often feel that I need more width e.g. when scrolling trhough a webpage in landscape. A bezel-less big 16:9 display would be better imo. When the 18:9 trend being here to stay, with taking the feedback of people like you, brands which can afford having separate line of products should definitely have flagships in two aspect ratios. A happy customer means a prospective brand. They can easily make it wider, as compared to the 5.7 display with 16:9, that would make the longer display about 6.2 or 6.3. There's so many headers, footer, ads, etc on the top and bottom of the screen, that the 18:9 is a much better way to go imo. Question is: Would it be developed? Do you know how hard it is to developed a foldable phone without any hardware problems in the future? With how many times it's been rumored to be "releasing within the next year", they have to be running into hardware problems. I think one of the biggest issues with foldable phones is battery life and where the technology is currently at. Until there's a breakthrough in battery tech, we might not see a foldable phone until then. The last image might be hinting at a new phone. 75.8% of people said the reason they would get a bezel-less screen is because of "mobile banking". Who the heck did they interview and with what leading questions? I've been in cellphones for several years and never once had someone cite "mobile banking" as a factor for choosing one phone over another.